Fortnite: Battle Royale has really kicked off 2019 in style with new and exciting events, challenges, and items. One such event just so happened to be today, when music sensation Marshmello graced Fortnite with a 10-minute concert for everyone to listen to in-game. 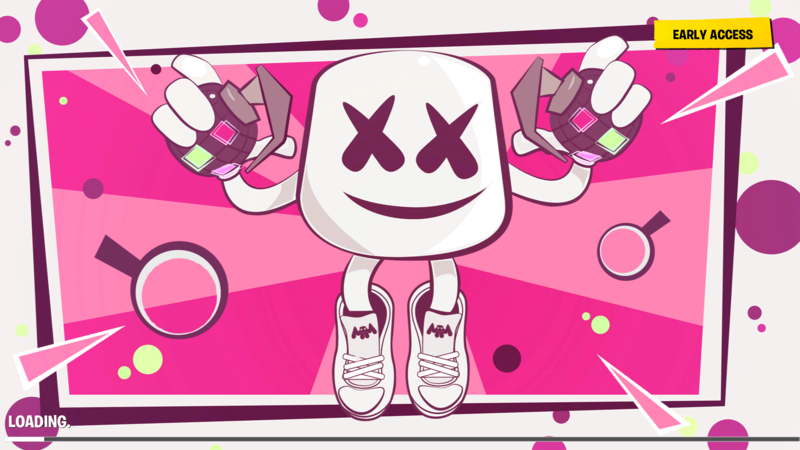 The event also coincides with the Showtime challenges, which unlock a few new Marshmello-themed items for players. If you were at work today or you just completely missed out on the concert, don’t worry—the internet has you covered and you can watch the whole show down below. The concert was a huge success for Epic Games, with over 600,000 people viewing Twitch streams of the performance when it went live—and thousands of other fans were watching in-game or on other platforms, too. Players were able to listen to a small sample of Marshmello’s tracks, which are now available on iTunes. The show was full of special effects, dazzling lights, and great tunes. Players also lost all their guns for the whole 10-minute concert so they couldn’t kill any innocent spectators. This was a moment that helped unite the community while fans enjoyed what was going on. Let’s hope Epic takes this approach moving forward with even more events in the future. Once the music died out, though, Fortnite players went right back to killing one another in hopes of earning a sweet Victory Royale.